Quebec's intergovernmental affairs minister has done something few people in Ottawa dare to do: he talked about the possible reopening of the Constitution. 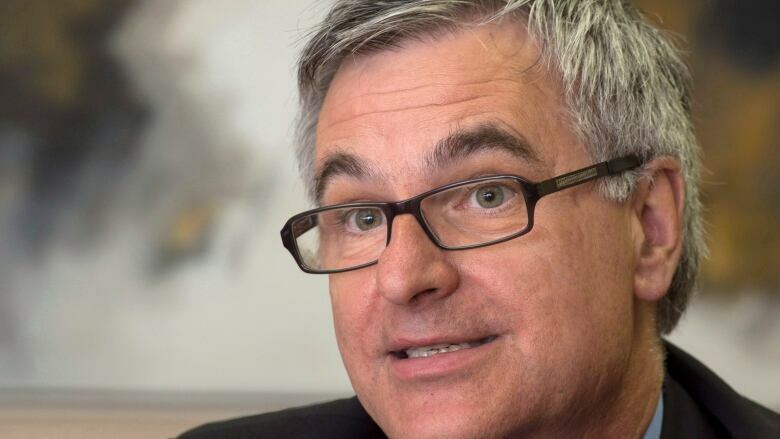 Jean-Marc Fournier, speaking Thursday at the first day of the Canada2020 policy conference, laid out examples of how the landscape has shifted positively on the topic over the past several years. One of those shifts, he said, was the 2006 motion in the Commons recognizing Quebec as a nation; another was the special agreement made with Quebec this year on federal funding for jobs training. "What I see is that there is a movement that is very real that is looking to recognize Quebec, and so when someone will open up these constitutional talks, that will be on the table," Fournier said. He also emphasized that the fact Quebec did not sign on to the Constitution is something that people in the province feel very strongly about — and that, too, should be taken into account. But he spoke about the re-opening of the issue as an eventual certainty, even if he didn't offer any ideas about who would do it, or when. "The Constitution is not a taboo word either. It's the fundamental contract of the country," Fournier said. "We can't deal with the Constitution by closing our eyes. It's a fundamental contract, it should be the basis of our relations. It shouldn't be something that we're afraid of." Quebec Premier Philippe Couillard briefly floated the idea of Quebec finally entering the Constitution during Prime Minister Stephen Harper's visit to Quebec City last month. But a day later, Couillard said the issue wasn't a priority. Harper's office said the prime minister had no intention of re-opening the Constitution. The Constitution was patriated to Canada from the United Kingdom in 1982, but Quebec did not sign on. Subsequent attempts to rectify the problem, including the Meech Lake and Charlottetown accords, were unsuccessful. Since then, few federal politicians have wanted to touch the subject. The defeat of the Parti Québécois government in this year's provincial election, as they ran on a sovereigntist platform, caused some hope to flourish on revisiting the issue. Fournier used the word "collaboration" repeatedly in his remarks Thursday, and said any success on the constitutional file would come from all parties taking the time to listen to each other. "All the fundamental contracts and social contracts between different peoples should begin from this reciprocity of respect."